Anyone wanting to learn Ruby on Rails online is spoiled for choice. There are dozens of online courses, tutorials, blogs, YouTube channels, podcasts, books and development tools. We have asked the team and searched the web to bring you the best online courses, tutorials and other resources to learn Ruby on Rails web development. Both junior and more experienced Ruby developers benefit from an active and supportive online community. On Stack Overflow, for example, there are over 280,000 questions tagged – the most commonly used on the platform, with dozens of related tags. GitHub also boasts over 2,000 users, 36,000 stars and 72,000 repository results for Ruby on Rails. Code School was the brainchild of Envy Labs, now Made With Envy, a Ruby on Rails development shop in Orlando, Florida. Gregg Pollack, one of the four founders, ran a successful Ruby podcast/blog, known as Rails Envy, which is why they were keen to create Ruby on Rails tutorials. Rails for Zombies was the result and an instant success, which led the team to create Code School – later separated from Envy Labs and sold to Pluralsight in 2014. Code School now offers a much wider range of courses, although the Ruby path remains popular, with eight courses, including Try Ruby and Rails for Zombies Redux free for beginners. Six other courses will take a newbie to intermediate level, for $29 per month and many would describe these quite useful when getting started. Coursera, the popular online learning platform with courses from hundreds of universities around the world has a wide selection of Ruby on Rails tutorial material. John Hopkins University has contributed some of the most useful courses through the Capstone Project, aimed at learners with some knowledge and experience who want to take Rails development to the next level. There are also several other courses in dozens of different languages from other universities around the world. Treehouse has already helped 180,000 students around the world learn Ruby on Rails at an affordable price of $25 per month. With over 200 courses created by experienced Rails developers, students at any level of experience are guaranteed to learn something useful and progress their practical and theoretical skills. Created by Avdi Grimm, a Ruby developer with over ten years experience, author of Confident Ruby and Exceptional Ruby, and a Ruby Hero award recipient, RubyTapas is a valuable resource of RoR development learning videos and screencasts. Perfect for a newbie, junior and experienced developers, with subscription options at $18 or $35 per month, depending how much content you expect to consume and other resources you might want. It’s a good option to nourish your skills in Ruby on Rails web application framework. Udemy, another popular online learning platform – with 15 million learners – delivers dozens of courses that teach students numerous aspects of Ruby on Rails, from beginner to advanced technique, many of them for free. For example, Learn Ruby on Rails from Scratch includes 9.5 hours of video, and over 80,000 students have taken the course (which has a 4.4-star rating). Certainly worth considering, especially if you supplement that tutorial series with another or some of the resources we have put together in the rest of this article. For Rails development professionals, there are numerous other ways to acquire the knowledge and experience necessary or support structured learning through online courses. Online tutorials and eBooks (most come with supplementary learning materials) are another way into the sector. RubyMonk provides four free Ruby online tutorials, for beginners, intermediate and advanced students of Ruby on Rails. You don’t even need to sign-up; you can start learning more about RoR and Metaprogramming Ruby – code that writes code – in your browser, with ongoing automatic assessments built into the tutorials. Upcase, created by thoughtbot, is an online tutorial program designed to help developers progress from juniors to more experienced engineers. 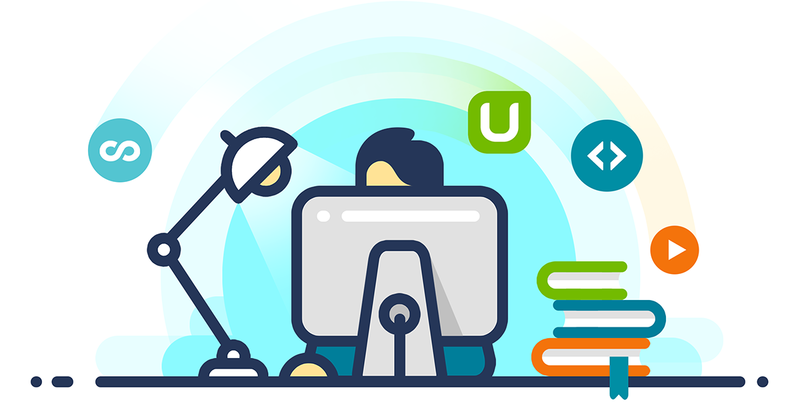 For $29 per month (after a 30-day free trial), you can access trails, weekly courses and videos, an active forum and take part in app development through the Upcase GitHub team. Upcase won’t limit developers to one language or skill. They have a wide variety of tutorials and trails on offer, including the chance to master vital skills, such as Test Driven Development. Thoughtbot, creators of Upcase, have also created Ruby Science, a $30 eBook (227 pages), to help Ruby on Rails developers “detect emerging problems in your codebase.” It is available in HTML, PDF, EPUB, and Kindle formats. Along with the book written using Markdown and distributed via GitHub, you also get access to a complete developed application. The book explains, while at the same time, the app demonstrates, making this an invaluable practical Ruby on Rails development learning tool. One of two books created by already mentioned Avdi Grimm. It is described as a “book about joy”; about how the author recaptured the joy he initially felt when writing in Ruby, describing how he learned to write “confident code.” Aimed at developers with a couple of years experience, Confident Ruby is a structured patterns catalogue, with bonus features and videos for those who pay a little extra. Founders and developers have left numerous positive reviews for this book. Clean Ruby, with additional cheat sheets, is $99 and sounds worth buying for anyone eager to clean up their code. Sandi doesn’t publish every week, but what she does write is interesting and useful. She is also the author of two books, 99 Bottles of OOP (Object-Oriented Design, Ruby Edition) and Practical Object-Oriented Design in Ruby (POODR), also about OOD. Richard Schneeman is a Ruby programmer for Heroku, a Platform as a Service (PaaS) company owned by Salesforce. He manages the Ruby Buildpack, support escalations and Ruby documentation. Earlier in his career, he taught a masters course at the University of Texas and posted his course materials online; however, that resource seems to have disappeared. Now he contributes to several blogs on Ruby, manages his own (Schneems), speaks at conferences, and is a big contributor to the Open Source movement. Schneems set up CodeTriage, maintaining 50+ open source libraries with 530 million + downloads. Unsurprisingly, he also won the Ruby Heroes award in 2016. Well worth subscribing to his blog and keeping up to date with his work through social networks and open source platforms. YouTube is fast becoming another useful resource for both beginners and experienced Ruby developers. Here are a few we would recommend watching. Suitable for beginners, especially those starting online tutorials or courses, Mackenzie Child, a rising YouTube star with over 50,000 subscribers, has a few playlists dedicated to an introduction to Rails and cloning 12 apps in 12 weeks in Ruby on Rails. Start Here is a YouTube channel and podcast series for self-starters, with new episodes released every Monday. Some of the most popular playlists and videos on this channel would be useful for Ruby on Rails newbies; again, especially if you were using them as supplementary material to a structured online course, tutorial and eBooks. Derek Banas, a YouTuber with over 650,000 followers, is clearly more familiar with Ruby, so suitable for intermediate and aspiring developers. He has created Ruby on Rails tutorial videos, and numerous others around the subject, that have accumulated hundreds of thousands of viewers. Ruby on Rails developers can also benefit from other active online communities, such as the Ruby on Rails Talk Forum (a Google Group), Devshed, Meta Ruby, and a couple of fairly active Ruby on Rails community platforms taking over from Ruby Forum. In every community and forum, users are encouraged to ask questions, post links, articles, videos and resources. Anyone learning RoR would benefit from taking an active interest in these communities and supplementing your learning with practice, experience and engaging with more experienced developers on these forums.